Selling Yahoo would carry a warning from print. The internet company’s board is considering selling its main businesses. Private equity is sniffing around and may also be interested in Tribune Publishing, the parent of the Los Angeles Times. The two have something else in common: both are plagued by long-term declines in advertising, their main source of revenue. Some LBO firms fell victim to that disease with newspapers less than a decade ago. Google and Facebook give advertisers more efficient places to spend their money. Yahoo’s slice of the fast-growing digital ad market in the United States was 11.5 percent in 2009. It’s projected to be just 4.4 percent this year, according to research firm eMarketer. It’s a trend that has afflicted newspapers for even longer. It played a part in Tribune filing for bankruptcy in 2008 under real estate mogul Sam Zell’s disastrous stewardship. The company emerged four years later, but revenue may fall almost 3 percent this year, according to Thomson Reuters estimates. Apollo Global Management is interested in Tribune, Politico reported, spurred in part by News Corp’s Rupert Murdoch tweeting last week that he had “strong word” that a “big Wall Street firm” is interested. Tribune says it is not in talks to sell the company. Meanwhile, TPG Capital is a potential suitor for Yahoo’s search and advertising businesses, according to the Wall Street Journal. There’s still value in both declining franchises. 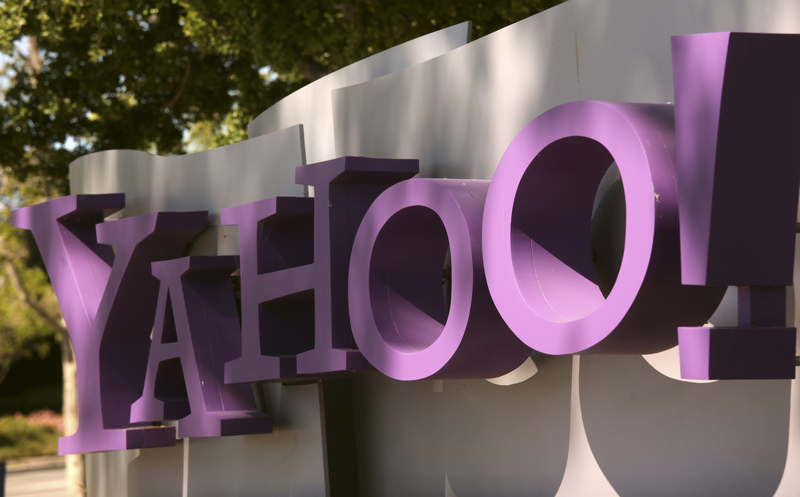 Yahoo’s two core units may throw off more than $800 million in EBITDA next year. And it had 200 million individual visitors in October, according to comScore. But private equity honchos may want to search the archives before committing themselves. Avista Capital Partners lost its $530 million investment in Minneapolis’s Star Tribune when the paper filed for Chapter 11 in 2009. Blackstone and Providence Equity Partners forfeited their almost $500 million stake in the owner of the Orange County Register when it went bankrupt the same year. How a deal is structured plays a role. Zell, for example, larded $13 billion of debt onto Tribune. But seeing advertisers shrugging off Yahoo just as they did in the past for newspapers should raise a big red flag. Yahoo’s board members are meeting this week and are considering whether to sell the company’s search and advertising business and spin off its equity stake in Alibaba. Potential buyers for the search business include private equity firm TPG Capital, Verizon Communications, and IAC/InterActive, according to a report in the Wall Street Journal that cited people familiar with the matter.